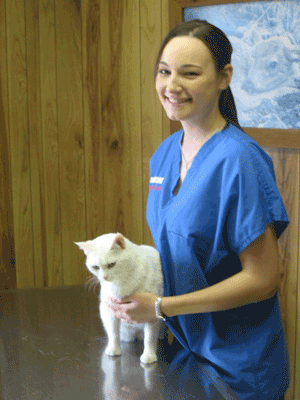 Puppies and kittens should begin a series of vaccinations at 6-8 weeks of age. The antibodies from the mother’s milk interferes with vaccinations, so that each one gives only partial immunity in increasing amounts during the series. Distemper in both species needs to be given every two to three weeks until at least 12 weeks of age. Rabies vaccinations are given after 12 weeks old. All dogs should be tested for heartworm disease annually, and placed on preventive medication if negative. Remember that it can be lethal to give a dog the preventive if it has not been tested and found to be negative. Barking Sands Beach, in Hawaii, is known for its unusual dry sand that squeaks or "barks like a dog".